We offer newly renovated underground rooms in three different categories. All of our rooms are individually decorated with a lot of love where we have captured the essence of nordic history and culture. Our rooms are between 9-12 m2 (97- 129 ft2) and are all equipped with quality beds made in Sweden. To see current rates for your booking dates go to Reservation. Cozy and bright single room with private bathroom equipped with a shower. A small desk and fixed network is in this room for the convenience of our working guest. 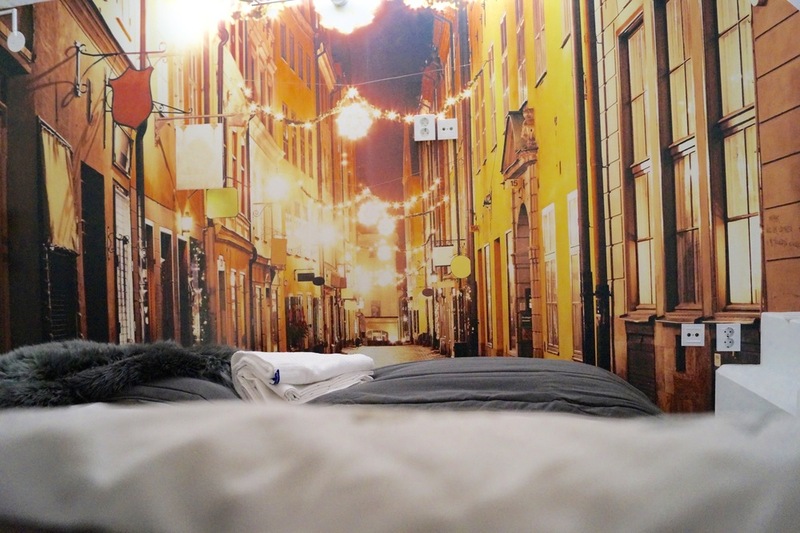 Bright and nice single room with a comfortable 90 cm bed and private WC. Cozy and bright double bedroom with shared bathroom. Cozy and bright room with separate beds and shared bathroom. Cosy and bright double room with private WC. Quality bedlinen & towels, Free WiFi, TV, coffe/tea and cookies.